Bring paper to life and create an awesome collection of robots using the paper provided, and some glue. Welcome to Robot City, home to some of the most amazing feats of paper and robotic engineering on this planet. 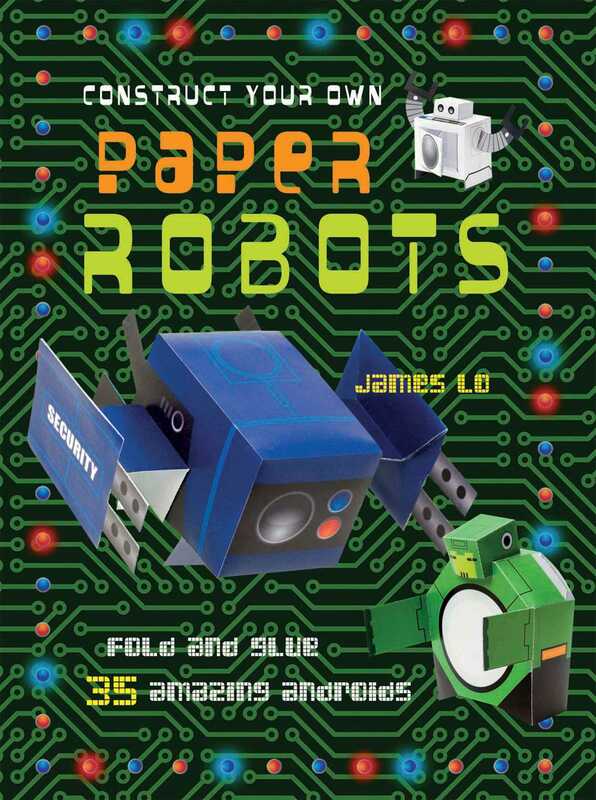 With 35 different robots to choose from, you are sure to get hooked on making paper toys—the latest trend to sweep the internet—and want to make them all. Paper Robots features innovative designs for everything from a robot nuclear family, with mom, dad, son, and daughter, to superhero droids, security cyborgs, robot animal, and more, each with their own unique characteristics. Take Oculon for example, the eye in the sky, dedicated to flying around Robot City, keeping the residents safe at night. Then there’s Mechanus the robodoctor, giving an oil change to any droids in need of a tune-up. Not everyone in Robot City is a good citizen however, like Omerton, boss of the underworld crime families, but luckily UltraBot and his sidekicks Terra, Firma, and Mare are around to keep things under control. Every project come with a template that’s ready to be popped out of the book and folded into something amazing. We’ve even scored the creases, ready for you to get started straight away. You’ll be amazed at the variety of robots you can create using just a few folds, and it’s so simple; all you will need is this book and a glue stick.